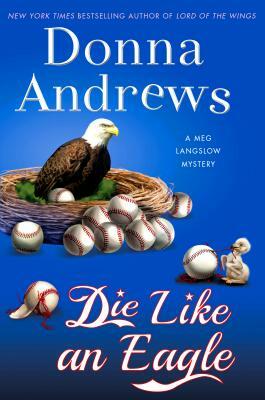 The brilliantly funny Donna Andrews delivers another winner in the acclaimed avian-themed series that mystery readers have come to love. The nineteenth book in her New York Times best-selling series continues to surprise and delight in this next knee-slapping adventure featuring Meg Langslow and all the eccentric characters that make up her world. Donna Andrews is the author of the Meg Langslow mysteries, including Stork Raving Mad and Swan for the Money. She has won the Agatha, Anthony, and Barry awards, a Romantic Times award for best first novel, and four Lefty and two Toby Bromberg Awards for funniest mystery. When not writing fiction, Andrews is a self-confessed nerd, rarely found away from her computer, unless she's messing in the garden. She lives in Reston, Virginia.